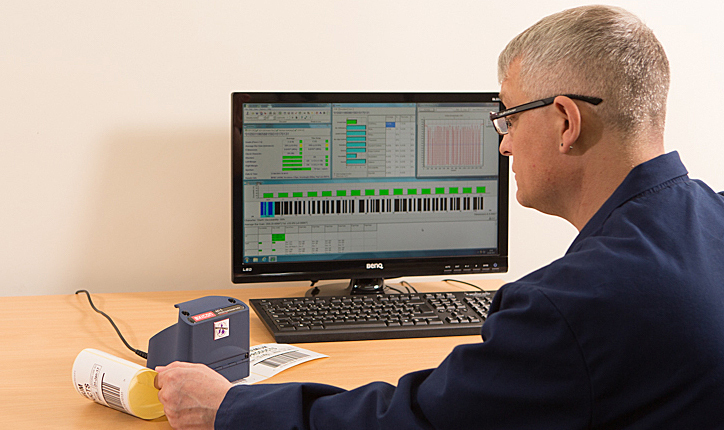 Barcode Verifiers are vital to the supply chain process. Without correct barcodes your shipment could face costly rejection for re-labelling (or even disposal in the case of fresh produce) and you may also be fined for non-compliance. Effective barcode verification needs the right equipment and properly trained operators. 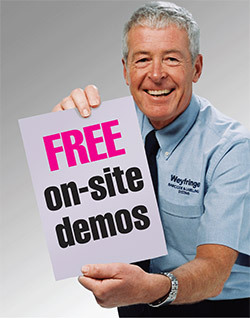 Weyfringe offer an operator training service (ask for details) to ensure you understand how to use the verifier and make adjustments to your barcode print quality. Easy to use Axicon barcode verifiers can identify a non-conforming barcode within seconds as well as identifying the corrective areas to be addressed. Simple pass/fail screens can be selected or more detailed explanations of issues identified can be drilled down into for a fuller technical explanation of which part of the barcode needs attention. Axicon barcode verifiers are manufactured and certified to the all-important ISO 15416 and ISO 15426 and, to allow you to choose the best model for your requirements, are available in both portable and PC connected versions offering the ability to save measurements for later upload to your PC or printing. The Axicon range provides solutions for smaller EAN 8 & 13 barcodes (including those on curved containers), GS1 128 and Interleaved (ITF) codes as well as the wider pallet label barcode sizes. Why not use a barcode reader? Choose this model if you need to verify mainly the smaller, very commonly used retailer barcodes like EAN-13 and UPC-A but also code 39, code128 and ITF up to a scan width (including light margins at the left and right of the code) of 66mm. The 6000 'S' series features the ability to continuously scan. Obtaining ten readings throughout the height of the barcode (as required by ISO/IEC) is acheived much quicker. The 'Retail Mode' allows you to check the quality of the barcodes mainly used in the retail chain: e.g. EAN/UPC, GS1-128 (formerly EAN-128) and ITF-14, all up to a maximum width of 125mm. The 6500 "S" series version features the ability to continuously scan. Obtaining ten readings throughout the height of the barcode (as required by ISO/IEC) is acheived much quicker. The Axicon 7015 specifically verifies the larger type of barcodes including those commonly used for pallet labelling. Typically ITF-14 and GS1-128 (formerly EAN-128). Maximum scan width is up to 195mm. The 7000 "S" series version features the ability to continuously scan. Obtaining ten readings throughout the height of the barcode (as required by ISO/IEC) is acheived much quicker. Go mobile with the Axicon PV1000. Connect any of the above Axicon verifiers to this portable data terminal via USB and be able to move around freely for barcode verification. Save your measurements automatically in the PV1000 and upload to your PC or print results later. An Android App is available for most Android devices with a suitable USB adaptor to allow portable use of the 6000, 6500, 7000 series verifiers. The Axicon 15200/15500 series verifier is capable of verifying both 1D and 2D barcodes up to a maximum size of 95mm x 40mm. It is able to verify multiple barcodes within the same field of view whether they are 2D or 1D and the user sees the results for each barcode by selecting the relevant barcode on screen. *symbologies verified: GS1/UCC SYMBOLOGIES: EAN-8, EAN-13 (with or without add ons). Other symbologies: Code 39, Code 93, Code 128, Codabar, ITF, MSI Plessey, Pharmacode (laetus: optional extra - Windows only). ** Due to optical limitations the 7015 is not suitable for verifying EAN8/13 barcodes. *** 25-S Versions provide continuous scanning of up to 100 scans per second. This provides greater verifiaction intensity down the height of the barcode.